View More In Plant Germination Equipment. The Posiflow by Slucket RDWC system combines Positive Flow Technology with fully drainable Slucket modules. It is the only recirculating deep water culture hydroponic system to independently feed each growth module at the same time. The Posiflow utilizes positive water pressure to recirculate highly oxygenated nutrient solution through the plant¹s root zone through its Slucket Manifold. The Posiflow's Return Manifold circulates nutrient solution back to Slucket Control Module to recirculate, and this positive flow motion supercharges the nutrients with dissolved oxygen, creating conditions perfect for explosive plant growth. 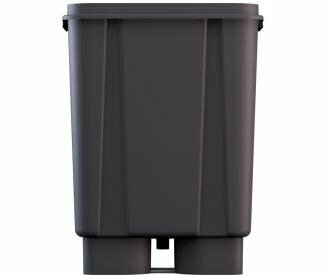 The Slucket Growth Bucket includes a 3/4" barbed hose fitting attached to the underside of each unit. If you have any questions about this product by Slucket, contact us by completing and submitting the form below. If you are looking for a specif part number, please include it with your message.